How Many Watts Does a Light Bulb Use? How many watts does a light bulb use? The best way to determine this is to use a meter to monitor electricity usage. The numbers I am submitting in this article are actual field tested numbers. 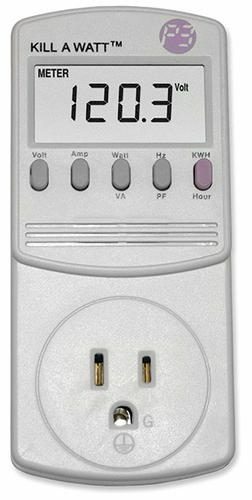 I used the Kill A Watt electricity usage monitor. A person can buy these at any home improvement store, such as Home Depot. Below is a picture of what my meter looks like. I bring this with me on every home inspection. I do not always use it, but I have it in case it is needed. The average U.S. household has 45 light bulbs. We know that some light bulbs are left on more than others, but let’s say you leave all of your light bulbs on for 1/5th of the time (4.8 hours per day). 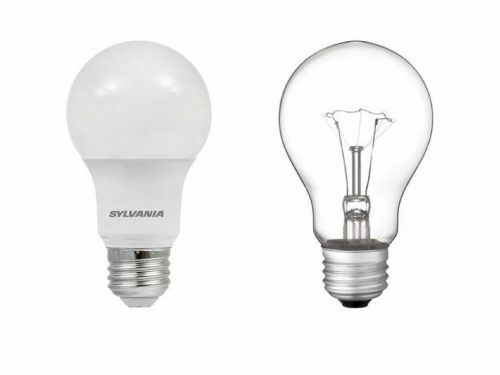 Below is a comparison of the usage for an LED bulb vs incandescent bulb. This is based on $0.13 per kWh, which has been the recent average for Ameren in the central Illinois area. One 800 lumen LED light bulb uses 1.61 kWh of electricity if left on for one week. One 830 lumen incandescent light bulb uses 8.71 kWh of electricity if left on for one week. The LED light bulbs are 5.5 times more efficient than the incandescent light bulbs. The light bulb technology is what determines the energy usage. The below table shows that it is a worthy investment to upgrade your home to LED light bulbs. It simply makes sense. Would you like to schedule a home inspection? Schedule a new home or maintenance inspection today and Lucent Home Inspections will provide a thorough report regarding the needs of your home. We will also give tips for improving your home energy efficiency. As professional home inspectors, we serve Peoria, Bloomington, Normal, Morton, Washington, Dunlap, Hudson, Eureka, Goodfield, and more!